Chocolate, beads and love - they all produce the same chemical reaction in the brain, I'm sure of it! We've all had the rush of finding a swoon worthy bead, one that makes your heart beat a little faster when it's in the palm of your hand. Your head starts swimming with ideas and the possibilities of what to make with that tiny treasure. Now think of a melt-in-your-mouth, melt-your-soul chocolate confection. My friend Erin introduced me to Moonstruck chocolates years ago and they are a bit of heaven on earth. Think of artisan treats lining a display case, each piece of handcrafted chocolate a delectable treat with delicate sugary details decorating their chocolate shells. 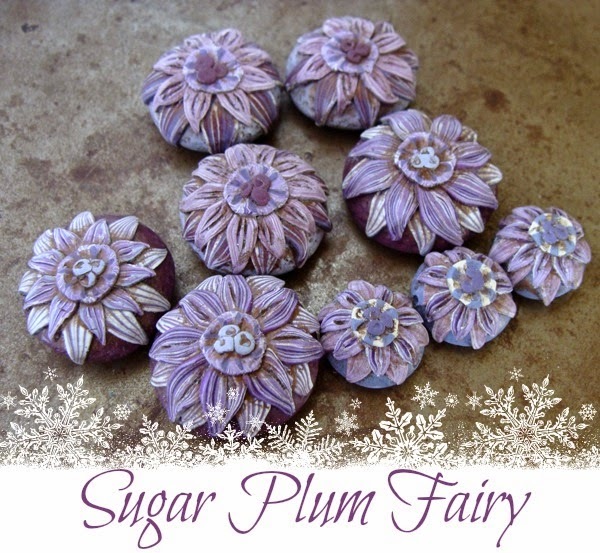 Imagine beads that look good enough to eat, each one displaying layers of leaves and flowers as a sweet bonbon.Like learning to create heavenly European chocolates, the secrets of these scrumptious Bonbon beads will be revealed in my next online beadmaking workshop. Sign up today to save your space and you'll be creating your own mouth-watering beads just in time for holiday gift-making! Bright and cheerful, these candy-cane inspired colors are fun and playful. They are elf-approved hues that are a jolly treat! These are the beads that will be making during the class and the recommended color palette to start. 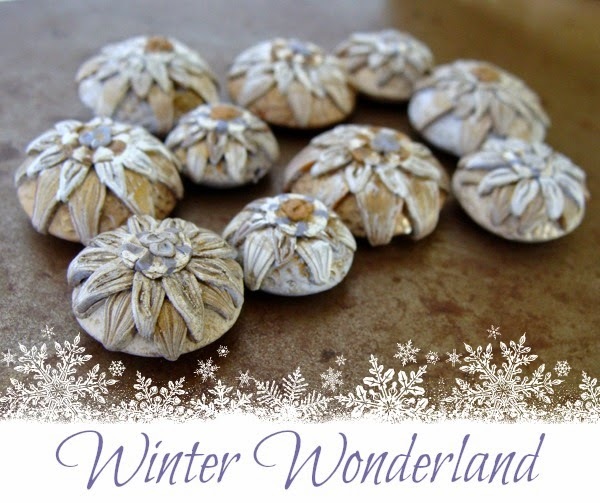 These beads will make whimsical ornaments and stocking stuffers for the young-at-heart on your gift list. 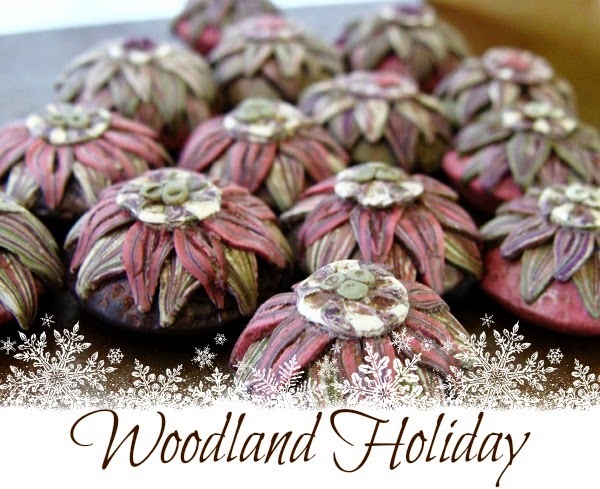 The Woodland Holiday color palette will feature chocolate browns, sage greens, cream, purple, copper and rose colors. This collection will work beautifully with rustic and earthy jewelry designs. 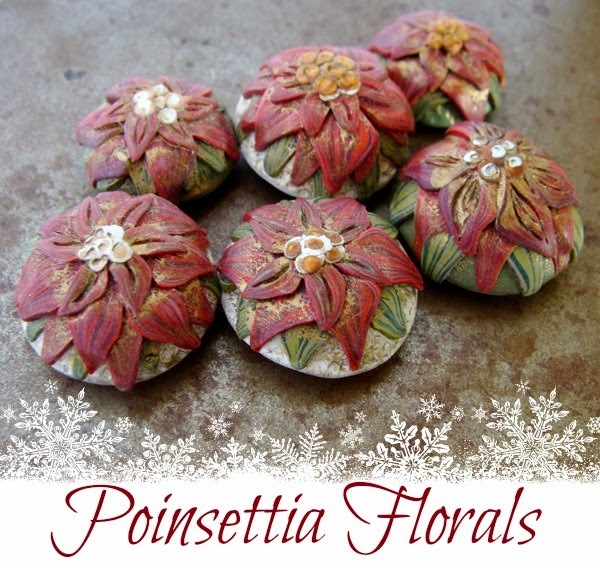 They are florals that can be easily translated into non-holiday designs for those who are little more down-to-earth on your gift list. Twinkling snow, frosted branches, glimmering icicles, the winter wonderland color palette captures the icy hues of the season in gold, creams and dreamy purple of twilight. Pair these beads up with pearls, golden-brass findings and shimmering crystals to create your own winter wonderland jewelry designs. Wear these gilded pieces to upcoming holiday parties. Classics never go out of style and for the traditionalist I couldn't resit these red, green and gold creations that would bring instant holiday glam to any outfit during the season. 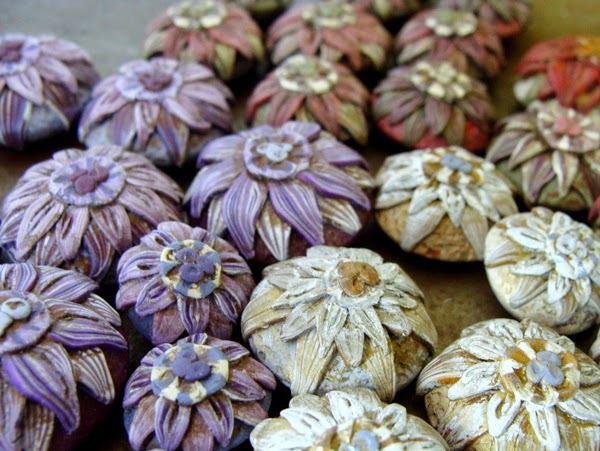 These will also make beautiful ornaments, start checking off your gift list! 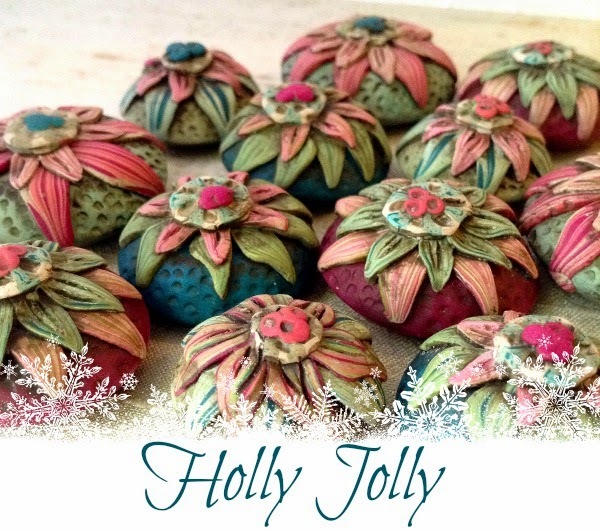 I have the perfect ornament project included in the bonuses using these beads - they will be your go-to gift this year. Can you hear Dance of the Sugar Plum Fairies chiming in your head now? As visions of plum, violet and lavender dance in your head this color palette offers another non-holiday take on these bonbon beads. Purple, everyone loves it! 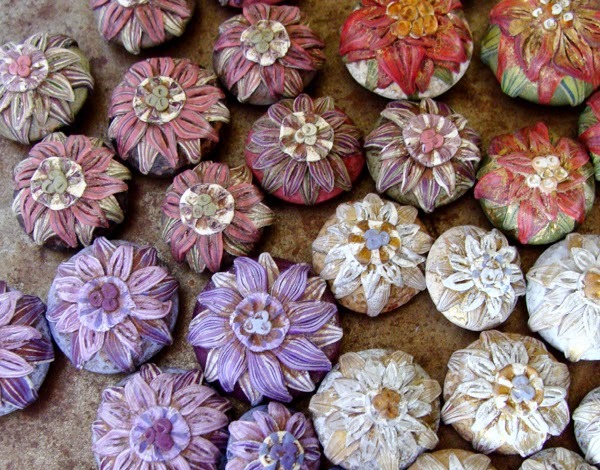 And you can see by using a monochromatic color palette these beads are transformed into flowery designs that would look great for your bohemian chic jewelry creations, your garden-inspired designs or ultra-feminine jewelry. You'll get the inside scoop with detailed videos taking you step-by-step in mixing colors, creating the leaves and flowers and decorating your beads. Along with the videos you'll have step-by-step written directions with photographs. You'll learn finishing tips to offer more design options - we love having options don't we? You'll discover the easy tricks I use for making beads in a flash and you'll soon master making your sweet bonbon beads and ready to transform them into jewelry and gifts. 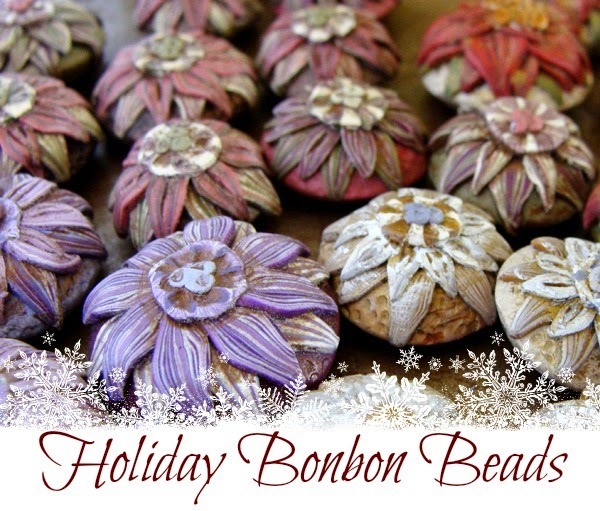 And then you can dive into the 10 bonus projects featuring the bonbon beads. Because as lovely as a pile of beads are, seeing them in action and having great gift ideas can take tons of pressure off during this busy time of year. Create them into gifts to fill stockings and put under the tree, give as treasured presents during Hanukkah or design jewelry to wear to your holiday shindigs - making this the class that keeps on giving! Don't worry if you've never made a bead before, you will be a bonbon bead expert by the time you are finished with the class! Sign up here and save your spot today - class starts on November 7th but you'll have lifetime access to the class and videos. Work at your own speed and schedule before the crazy holiday festivities begin!